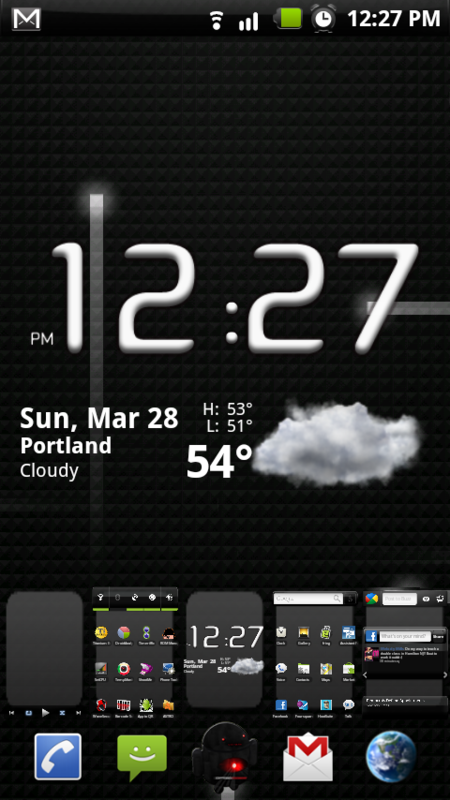 The new custom ROM from Blackdroid hit the rooted world today and is noteworthy for the simple fact that it is running on the ERE27 build which is the same build the Nexus One was updated to just a short while back. This new ROM is available in ROM Manager (premium) right now and includes a pretty cool installation process. It takes you through a series of steps and lets you choose exactly what you want included in your ROM (kernel, launcher, music app, etc.). I’m actually very impressed by this new version. 1. Purchase ROM Manager premium and open. 4. Choose “Ultimate Droid V8.6.3”. 5. Choose which options you want included and let the ROM download. 6. When finished select “Backup Existing ROM” if you don’t have a backup. 7. Leave “Wipe data and cache” unchecked. Click “OK”. 8. Phone will boot into recovery and install your ROM. 2. Download ROM Manager from the market and purchase paid version. 4. Follow steps 2-5 above. 5. Choose both “backup existing ROM” and “wipe data and cache” and select “OK”. 6. Phone will boot into recovery and install your ROM. Various apps such as WiFi tethering, Cubed music, 2.1 desk clock, etc. If you do not want to purchase ROM Manager premium from the market, you can find additional instructions and support at this official Blackdroid post. Astro File Manager Beta Ending?